The following post is a guest blog by Nico Probst of Lime, a new mobility company that operates e-scooter and dockless bike programs in the U.S. Active Trans is still analyzing the pros and cons of e-scooter sharing, in consultation with our members, board and staff. Active Trans doesn’t agree with Lime or other new mobility companies on everything, but we welcome their support for our shared bike/walk/transit goals in Chicago and the suburbs. Lime is founded on the simple idea that all communities deserve access to reliable, on-demand, and affordable mobility. Through the equitable distribution of shared scooters, bikes and carshare, we aim to reduce dependence on personal automobiles and leave future generations with a cleaner, healthier Chicago. Today, we are excited to build on that mission by joining forces with the Active Transportation Alliance to call on Chicago’s next mayor and city council to embrace a vision for the city’s transportation network in which everyone can get where they need to go. The Active Transportation Alliance is calling on Chicago leaders to build a transportation network that works for everyone with an innovative policy platform that Lime is proud to endorse and support. 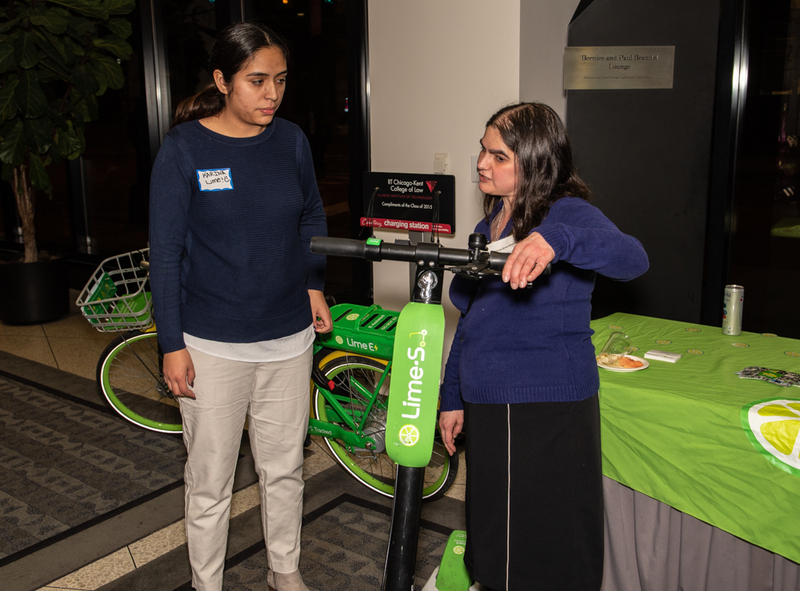 Lime believes that shared dockless mobility options including scooters and bikes have the ability to greatly contribute to this mission, but we also know these new options need to be part of a larger, holistic transformation in cities. Lime joins Active Trans in calling on the city to develop and build 50 miles of new transit priority streets with dedicated bus lanes and transit signal priority. While strengthening bus transit in cities might seem outside of our focus, we know that our scooters have the potential to better connect people directly to public transit and supplement their last-mile needs. In Lime’s recently-released 2018 End of Year report, we found that 20 percent of Lime riders in major urban markets used a Lime device to travel to or from public transit during their most recent trip. Micromobility combined with an improved transportation system, especially in neighborhoods where affordable transportation options are most needed, will help residents reduce their dependence on a personal automobile and better connect Chicago residents to their community. Active Trans seeks to advance vehicle pricing policies, a position we also strongly support. Shared scooters and bikes are already leading to large reductions in car trips, as indicated in our End of Year report: 30 percent of Lime riders reported replacing a trip by automobile (personal car, carshare, or taxi/rideshare) during their most recent trip. To help create the dramatic cultural change that will lead to less reliance on automobiles as the primary form of transportation, we have to make non-auto modes the simple, affordable, convenient solution to citizens’ daily needs. Active Trans is also calling on any company operating in the shared transit system space be required to make anonymized trip data publicly available to the city, a policy we already support in Chicago and other cities we serve. We want to work in partnership with the city and utilize our data to build networks of protected bikes lanes, parking corrals and safer streets for our riders. Lime believes that regardless of one’s age, ability, income, race, gender, or zip code, all Chicagoans should have safe, convenient and affordable access to jobs, schools, healthcare and recreation. Universal transportation access is critical to building healthier, more sustainable, and equitable neighborhoods across Chicago. That’s why Lime is proud to support the Active Transportation Alliance’s agenda, and we look forward to working as a partners to achieve these shared policy priorities.